Places Covered : Delhi- Mandawa- Bikaner- Jaisalmer-Jodhpur- Kota-Ajmer-Pushkar-Jaipur-Delhi. Meet on arrival and transfer to hotel. After checking into hotel, briefing of your tour. Overnight at hotel. Day 02: Delhi- Mandawa (Shekhawati) Drive -6/7 Hrs. Morning drive to Mandawa with en route visit of navalgarh. Arrive Mandawa and check into hotel. Evening visit to the market and Mandawa tours to see the house painting. Dinner and overnight at Mandawa. Castle hotel or similar. Day 03: Mandawa- Bikaner Drive -6/7 Hrs. Morning drive to Bikaner via sikar. Arrive in Bikaner and proceed for city tour visiting of city palace (Old Fort) And Bazaar (Time Permitting, We Can See The Camel Farm). Overnight At Hotel. Day 04: Bikaner-Jaisalmer Drive 7/8 Hrs. After breakfast drive to Jaisalmer with en route visit of Gajner Palace. Arrive in Jaisalmer and check into hotel. Evening walk around and enjoy the sunset. Overnight at hotel. Breakfast at hotel. Drive to Jodhpur. Arrive in Jodhpur and proceed for mehergarh Fort. Visit Around and Drive To Hotel for Overnight Stay. Morning Sightseeing of The City And Then Proceed For Kota. 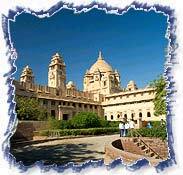 Arrive And Proceed For Sightseeing Including City Palace, Jagmandir And Cenotaphs. Overnight At Hotel. 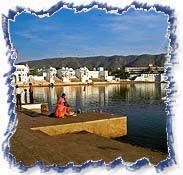 Morning drive to Pushkar. Visit to Temple and Ghat. Arrive back to Jaipur and continue to Jaipur. Arrive and check into Hotel. Overnight at hotel. Morning excursion of amer fort, with elephant ride till the fort. Afternoon sightseeing including city palace, Jantar Mantar, Hawa Mahal and bazaars. Overnight at hotel. Morning drive to Agra via fatehpur sikiri. Arrive and proceed for sight seeing of Taj Mahal and Agra fort. Overnight at hotel. Morning drive to Delhi. Arrive and check into hotel for freshening up. Evening in time transfer to international airport to board flight for onwards destinations.